Have you ever wondered what it would be like to live as a worm? No? Well, it’s not something that pops into your mind first when thinking of reincarnations and what you will come back as but Effing Worms is a game that lets you do just that…being a giant worm that is. If you’ve seen the movie Tremors, this is exactly what it will be like when you play this game. Of course, you will take the role of the man-eating worm this time. If you do not approve of gory games or things that have something to do with decapitation, you are better off playing a game that deals with unicorns. Effing worms is a title for awesome people who like awesome and fun games. Effing Worms is a free online game that you can play as long as you have an Internet connection. Developed by the aptly named Effing Games, this game will take you on a killing spree adventure as the subterranean worm which is always hungry all the time. The goal of the game is to get the highest score possible which can be achieved by eating everything that walks on the surface, literally. You get to pounce on human stick figures as well as other animated “beings” in order to eat them. In return, you will get points along the way. 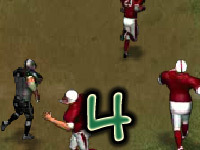 In addition, there is a hunger meter on the lower portion of the screen which must never go empty or else the game will be over. So, you need to keep feeding the worm always. You can create chain combos when you eat multiple people on the surface and this gets you more points in the process. Other than that, when you complete a level, you will also be able to get upgrades for the worm such as increased health and/ or added speed. When you eat people the worm gets larger and larger in size too. So, when you’ve engorged the worm with his fill of food, he can reach an unimaginable size. Controlling the game is very easy and Effing Worms lays it down for you in the menu before you even start. All you need to do for direction control is to press the WSAD button on your keyboard. Alternately, the arrow keys work as well. When you are able to master the controls of the game which isn’t that hard to do, you will be able to pull off multiple combos which will then get you to be on a rampage. Of course, that just means more points for you. What’s awesome about the game is the graphics. Although it isn’t up to the standards of modern games, it still gets the job done. There is simulated blood, gore and great effects that make any sadistic gamer crudely laugh with insane glee. Finally, if you want something out of the ordinary, Effing Worms is the perfect game for you to play. Most of all, it’s for free and you can play it anytime you are online! If you liked the cool Effing Worms games, share them with your friends ! I am sure they will enjoy them very much. The games are free, and there are many of them Do keep in mind they are very addicting.